Stress fractures occur in up to 46% of dancers during their career (Delegete, A). Over 60% of these fractures occur during puberty. Decreased strength, proprioception, and balance control, as well as poor technique can lead to increased stress to the bones and thus increased risk for stress fracture. 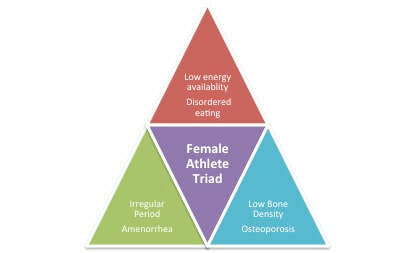 Females are twice as likely than males to have a stress fracture secondary to caloric restriction, reduced bone mineral density, and menstrual irregularities (Delegete, A). ​An acute fracture is typically not detected on x-ray. MRI and/or bone scan are preferred for detecting acute stress fractures. Rehabbing a stress fracture can involve complete rest for 6 to 10 weeks. It is important to recognize possible signs and risk factors to avoid bone damage. 1) Delegete, A. Health Considerations for the Adolescent Dancer. A webinar through the Harkness Center for Dance Injuries. Accessed September 23, 2018. 2)Weiss, David S. Stress Fractures in Dancers: Evaluation and Treatment. A webinar through the Harkness Center for Dance Injuries. Accessed November 11, 2018. Strength, precision, and artistry set you apart at an audition. Optimal nourishment and rest is important. Audition at your best by staying in peak shape with these helpful tips. Narrow down your list: Make an audition list based on your goals. Are you looking to participate in a summer program, improve your audition skills, or gain acceptance into a dance company? Address prior/current injuries: Don’t audition with an injury! This can lead to further injury and hinder your chances of being accepted. Get adequate sleep: Sufficient sleep will allow you to focus during the audition and learn combinations quickly. Meal preparation: Bring adequate snacks to help fuel you before your audition. Check audition day requirements: Be prepared with your resume, headshot, proper attire, and audition fee. Arrive early: This will allow you to mentally prepare yourself and warm up properly. Refine your technique: Avoid skipping technique classes. Take daily technique classes to prepare. Focus on your alignment and stability to avoid overuse injury. Increase your strength/endurance: Technique classes don’t always prepare you for dancing for extended periods. It is important to supplement with cardiovascular exercise and strength training to prepare for audition days (Koutedakis 2000). Don’t work through fatigue, illness, or injury; seek help if an injury occurs. REST! Muscle requires 12-24 hours of rest following intense levels of physical activity in order to heal and repair damaged tissue prior to additional workouts (Koutedakis 2000 & 2004). If possible, allow for full rest days in between auditions to avoid overuse injury. Koutedakis, Y. (2000). " Burnout” in Dance: the physiological viewpoint. Koutedakis, Y., & Jamurtas, A. (2004). The dancer as a performing athlete. Sports Medicine, 34(10), 651-661. The adolescent dancer faces unique challenges due to physical and emotional changes that occur during pubertal development. Rapid growth periods can lead to reduced strength, impaired balance, and decreased flexibility, which can alter technical ability and increase the risk of injury. Growth spurts in dancers usually occur between the ages 11-15 in girls and 13-17 in boys, and can last up to two years (IADMS 2000). As height increases, weight gain also occurs. A girl’s menstrual cycle begins during these growth phases and is essential for formation of bone. The pressure to stay thin during periods of weight gain in addition to being unaware of/ignoring nutritional needs results in an energy deficit and increases the likelihood of irregular periods (Delegate 2018). Bones grow at a faster rate than muscles and tendons, and limbs grow at a faster rate than the trunk. This affects strength, flexibility, and balance control in dancers. These changes can make movement feel awkward and may affect your ability to perform at the level that you are used to. Don’t be discouraged, these changes are temporary! The injury rate increases by 35% as dancers reach ages 14-16. Body regions most commonly affected are the foot/ankle, lumbar spine, hips, and knees (Steinberg 2012, Delegate 2018). Epiphyseal plate injury: The epiphyseal plate is significantly weaker than the surrounding soft tissue, making it more prone to damage. Apophysitis: Disproportionate muscle and bone growth leads to increased stress on the tendon insertion at the bone. This results in a higher incidence of avulsion tears or apophysitis injuries (i.e., Sever’s or Osgood Schlatter). Tendinitis: Adolescent dancers are more prone to tendonitis secondary to the increased stress on the tendons with disproportionate growth coupled by the reduced muscular strength/joint stability. Stress fracture: Up to 61% of stress fractures occur during puberty. The bones experience overload due to impaired technique and reduction in muscle strength and postural control (Delegate 2018). Educate young dancers that physical changes are temporary. Set realistic goals for technical development and body type. ​Avoid exposing young dancers to extensive stretching and overload exercises such as excessive jumping and single leg pointe work in center. Focus on improving core stability, postural/balance control, and technique (Steinberg 2013). 2) Delegete, A. Health Considerations for the Adolescent Dancer. A webinar through the Harkness Center for Dance Injuries. Accessed September 23, 2018. 3) Steinberg, N., Siev-Ner, I., Peleg, S., Dar, G., Masharawi, Y., Zeev, A., & Hershkovitz, I. (2012). Extrinsic and intrinsic risk factors associated with injuries in young dancers aged 8–16 years. Journal of sports sciences, 30(5), 485-495. 4) Steinberg, N., Siev-Ner, I., Peleg, S., Dar, G., Masharawi, Y., Zeev, A., & Hershkovitz, I. (2013). Injuries in female dancers aged 8 to 16 years. Journal of athletic training, 48(1), 118-123. Am I ready for pointe work? A dancer’s progression to pointe work is a much anticipated moment. It is completely normal to be excited about this milestone, but it is extremely important not to rush into pointe work. There are a variety of factors that need to be considered to ensure that a dancer is ready to sufficiently meet the demands of pointe work. It is important to note that core strength and proximal hip control are better indicators of ankle stability than isolated foot/ankle strength. If a dancer has poor turnout control from the hip and inadequate core stability, the ankle is less stable en pointe, thus placing the dancer at increased risk for injury (Bullock-Saxton 1994). According to research, the tests most predictive of readiness for pointe* are the airplane test, topple test, and saute test (Richardson 2010). These tests are an indication of the dancer’s neuromuscular control and skill set, which are more significant factors than isolated muscle strength (Richardson 2017). What are the risks if I start too early? If the dancer begins pointe work without adequate range of motion and/or neuromuscular control, they can hinder proper technique development, foster bad habits, and potentially increase the amount of stress on the developing bones as well as the surrounding musculature. There is rapid bone growth and remodeling between the ages of 9-15 years old. During this time, growth plates are weaker than the surrounding bone, making them less resistant to different forces and more susceptible to injury. In addition, there are neuromuscular changes that occur as the dancer accommodates to rapid growth. The dancer takes time to adapt to changes in strength, flexibility, and proprioception, which ultimately influences motor control and performance en pointe. Therefore, chronological age cannot be a sole marker for pointe readiness (Richardson 2017, Shah 2009). It is important to communicate with your ballet teacher regarding the progress of your technique and whether you meet the criteria to initiate pointe work. Health care professionals (MD, PTs) with a background in dance can assist in conducting pointe readiness screens. Airplane test: the body is pitched forward into a flat back arabesque with the leg at 90 degrees and the pelvis square to the ground. The dancer must bring the fingertips to the ground while performing a plie with the supporting leg. The dancer returns to the starting position and performs five plies total. The knee must track over the center of the foot, the pelvis must remain in neutral, the head/trunk remains stable, the foot does not pronate, and the dancer does not lose balance for four out of five attempts. Topple test: pirouette en dehors from fourth position. Look for full releve, full passe height, straight supporting leg, vertical alignment, and controlled landing. The dancer must complete one successful turn out of two attempts. Saute test: 16 single leg saute jumps without support. The dancer must keep the pelvis in neutral, keep the trunk upright, fully straighten the supporting leg, roll through the foot on the landing, and point the foot in the air for eight out of 16 repetitions (Richardson 2010). 1) Richardson, M. Principles of Dance Medicine, Functional Tests to Assess Pointe Readiness. A webinar through the Harkness Center for Dance Injuries. Accessed Feb 23, 2017. 2)Bullock-Saxton, J. E., Janda, V., & Bullock, M. I. (1994). The influence of ankle sprain injury on muscle activation during hip extension. International journal of sports medicine, 15(06), 330-334. 3) Richardson, M., Liederbach, M., & Sandow, E. (2010). Functional criteria for assessing pointe-readiness. Journal of Dance Medicine & Science, 14(3), 82-88. 4) Shah, S. (2009). Determining a young dancer's readiness for dancing on pointe. Current sports medicine reports, 8(6), 295-299.